Do you color your hair? Color-treated hair needs special care. Choose Pureology and make a difference in the lives of breast cancer patients. 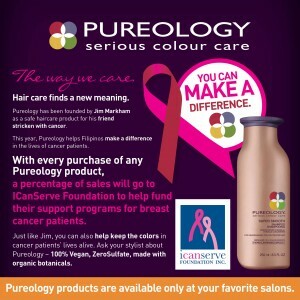 Purchase a Pureology product from your favorite salon from now until the end of 2014, and a percentage of sales will help ICanServe Foundation continue its support programs for breast cancer patients. Founded in 2001 in Orange County, California as part of Jim Markham’s search for a safe haircare product for a friend stricken with cancer, Pureology has grown its reputation as the very best for colour-treated hair. Acquired by L’Oreal in 2007, the brand is now the top colour care product in the U.S. with its promise of Long Lasting Haircolour Guaranteed®. Pureology’s highly concentrated ZeroSulfate® shampoos are entirely free of harsh colour-stripping ingredients, while the exclusive AntiFadeComplex® helps colour-treated hair retain its fresh-from-the-salon vibrancy with every use. 100% Vegan formulas are infused with natural plant extracts, while Dual Benefit systems including Super Smooth, Hydrate, Pure Volume, Precious Oil, Essential Repair and Reviving Red offer custom care for every hair type. In the Philippines, find Pureology in leading salons like Bench and David’s. 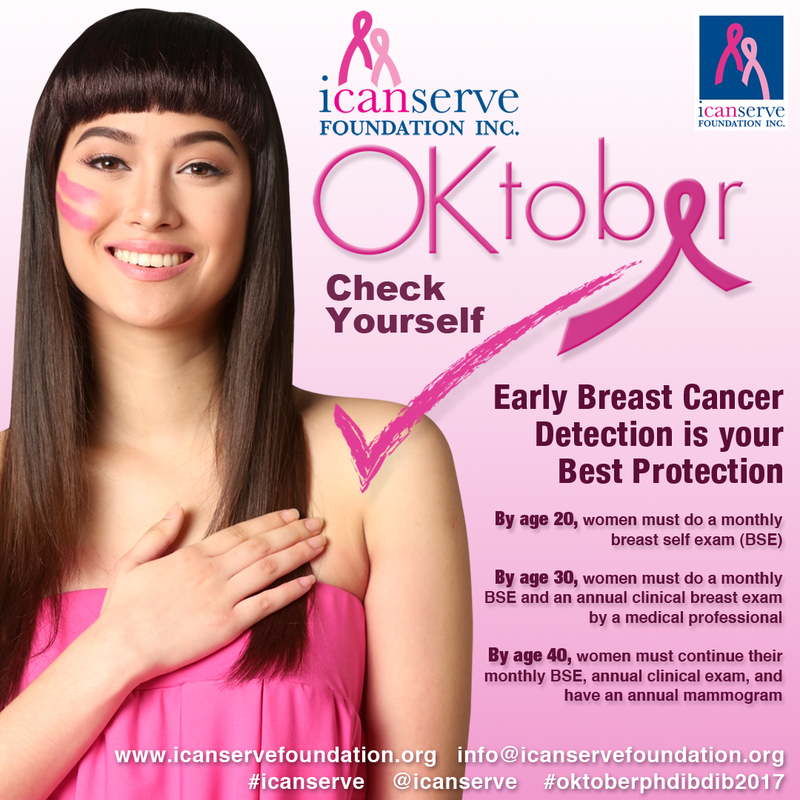 Choose Pureology and give color to the lives of breast cancer patients through ICanServe.